Hi, loves! Ready for today’s handmade-a-day wedding pick? You’ll love this one! 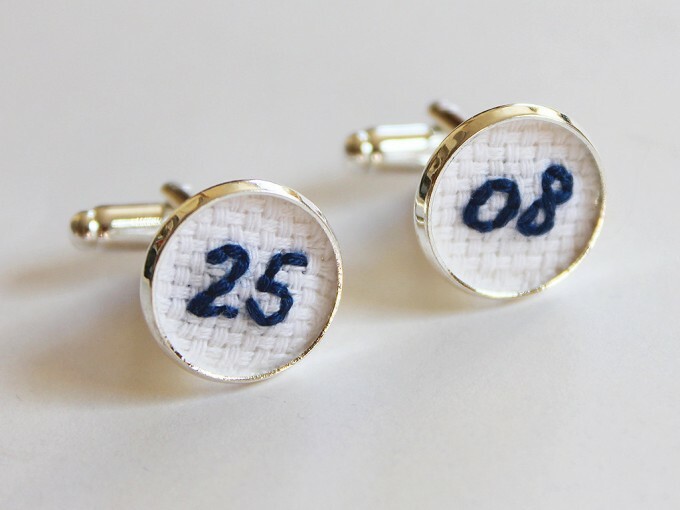 It’s a gift for the groom that can also count as “something blue” for you, too! 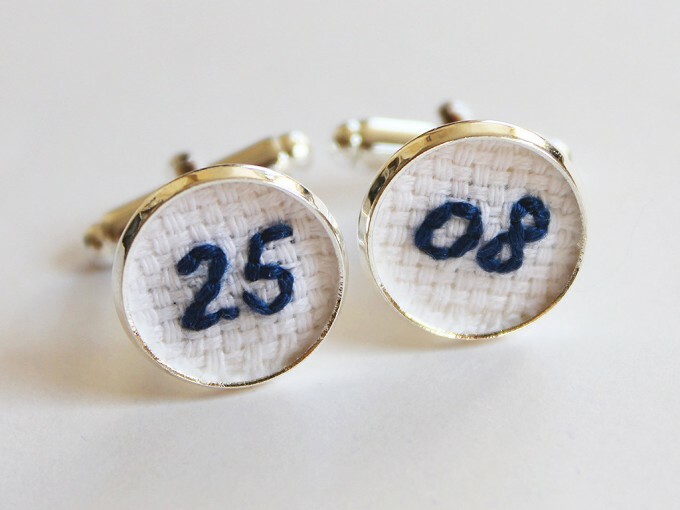 These wedding date cuff links — handmade by the lovely Aristocrafts — feature your wedding month and date in beautiful embroidery. Pick a favorite shade of blue to act as your “something blue” or choose another color to coordinate with your wedding. Makes a beautiful wedding day gift from the bride to her groom! To Get Yours → Visit Aristocrafts, Featured Artist at Emmaline Bride!